The First Amendment Foundation’s 2018 Sunshine Awards recognize those who have made significant contributions to furthering open government through service, litigation, and reporting. We are currently seeking nominations for the 2nd Annual Lucy Morgan Award for Open Government Reporting. The Lucy Morgan Award for Open Government Reporting is named for Lucy Morgan, the Pulitzer Prize-winning former reporter for the St. Petersburg Times (now the Tampa Bay Times) who broke countless stories using public records. The award honors a Florida journalist who tactfully uses public records to report stories exposing corruption, revealing government conflicts of interest or otherwise serving the public interest. The contest is open to all Florida journalists and there is no fee for entries. Journalists can nominate their own work. Nominations can also be made by supervisors or editors. 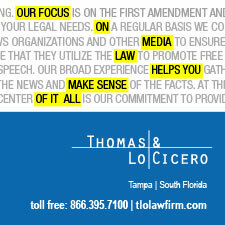 The contest is open to any Florida-based journalist (print, broadcast or digital). Entries can include up to three news stories, columns or editorials published in the 2018 calendar year. They can be a series on a single subject or reflect a body of work. Entries will be judged by a First Amendment Foundation panel based upon factors such as the difficulty of acquiring the public records, the types and amounts of records used, the overall quality of the published work and the impact of the work. 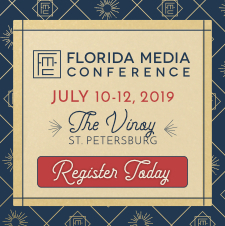 Entries must be submitted to the First Amendment Foundation at info@floridafaf.org by February 15, 2019. Florida’s First Amendment Foundation continues to be a highly visible and readily accessible source of information and expertise on government transparency in our state. Please join us to help expand our efforts ensuring open government in the Sunshine State by reinforcing the intrinsic value of access to public records and meetings by supporting our 2018 Sunshine Awards Reception. Tickets to the reception can be purchased on FAF’s website at floridafaf.org. Sponsorships are also available. Contact katie@floridafaf.org for more information.